*Disclaimer - I received the products in this post from Build a Bear in order to facilitate this review for my readers. They are also sponsoring a giveaway for a $25 gift card to their store. As you know, Build a Bear sells a big size Hugs a Plenty Puppy, and now they are doing the small fry puppy too, for Valentines Day this year. 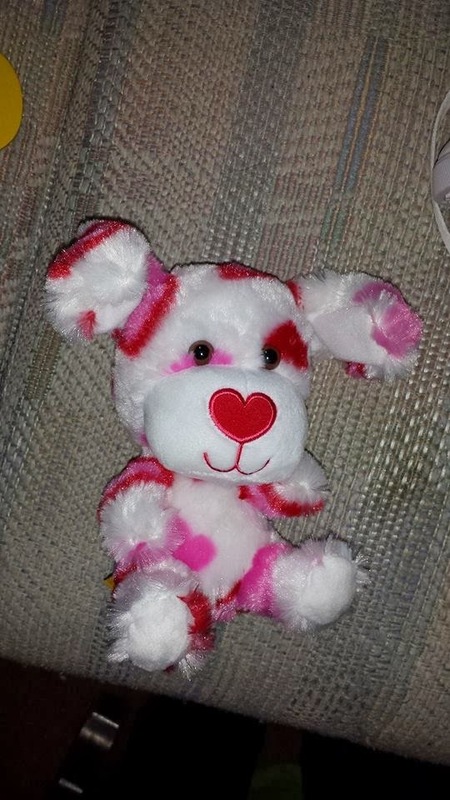 The size of this animal is small, and the price is only $10, so go get one for the child in your life who would love to get one this Valentines Day! My daughter loves her puppy and named her, Rose. 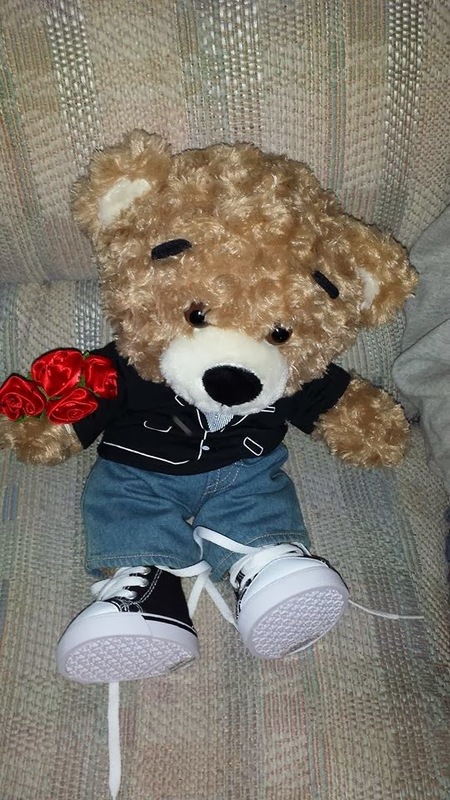 This Valentines Day, Build a Bear offers a good few new selections to choose from and one of them is the I love you Big Top Bearemy that I received. This is a full size lovable bear for any child to enjoy! The price of this one with the outfit is $41 in value. He is pretty big and fluffy. My son loves his bear he received from Build a Bear for this review.